Relaxation begins with a warm sage foot bath and moisturizing treatment for the legs, feet, arms and hands. The face is cleansed following warm aromatherapy compresses. Gentle, rhythmical hand and brush strokes stimulate the movement of lymph. 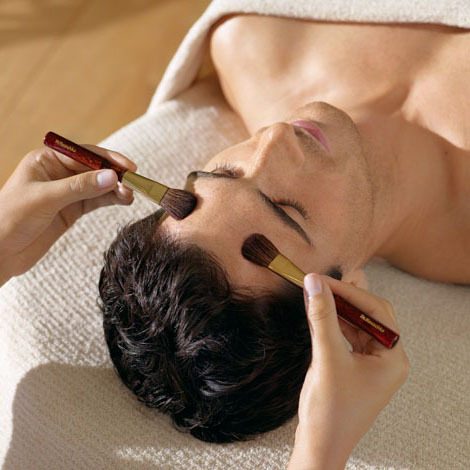 Next, your esthetician applies a nourishing mask specific to your skin condition followed by a décolleté massage. Stress and tension melt away, and you leave with renewed energy and a radiant complexion. Skin Conditions: Normal, Dry and Sensitive Skin.